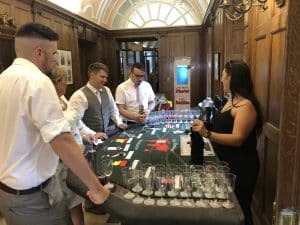 If you are looking for something to impress and entertain your guests, then our Wine Tasting Casino table is unique and there’s only two in the UK (and we own them both! 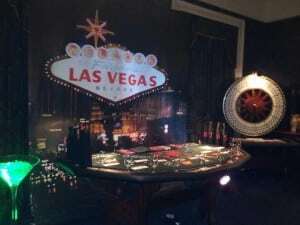 ), so you will not see it anywhere else, if that doesn’t impress your guests what will?! 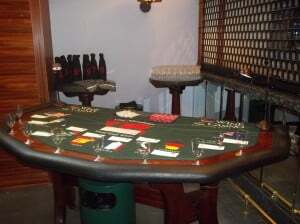 Our Wine Tasting Casino is a speciality table where guests test their tasting skills against others. 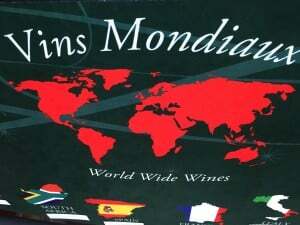 Can you tell if the wine is new age from the USA or a golden oldie from Italy? 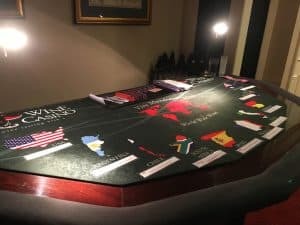 World Wide Wines is great fun for everyone whether you are a wine connoisseur or not, if you’re not a wine expert you may alternatively still win with the luck of a casino! 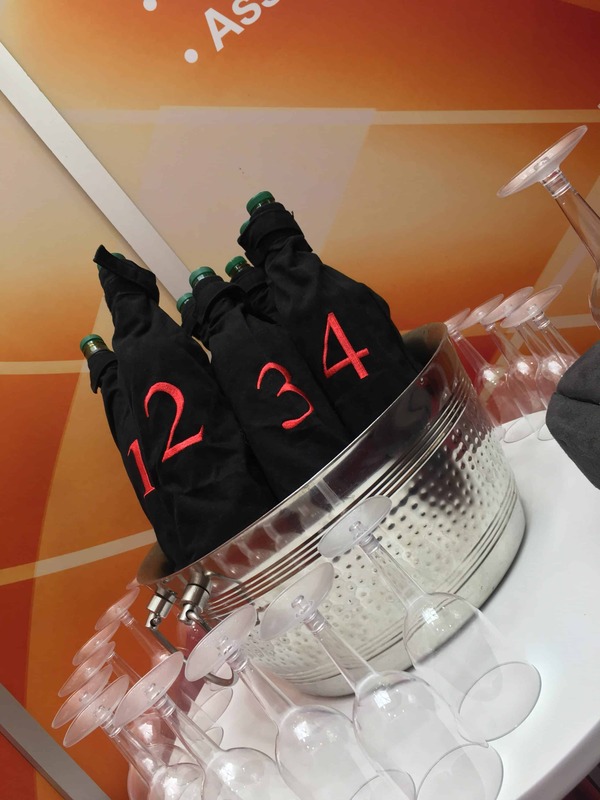 Can you tell a French Chardonnay from an Australian Sauvignon Blanc? 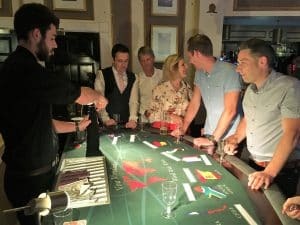 Guests come to the table and swap there fun money for chips, a concealed wine bottle is selected at random with cards 1 to 10. 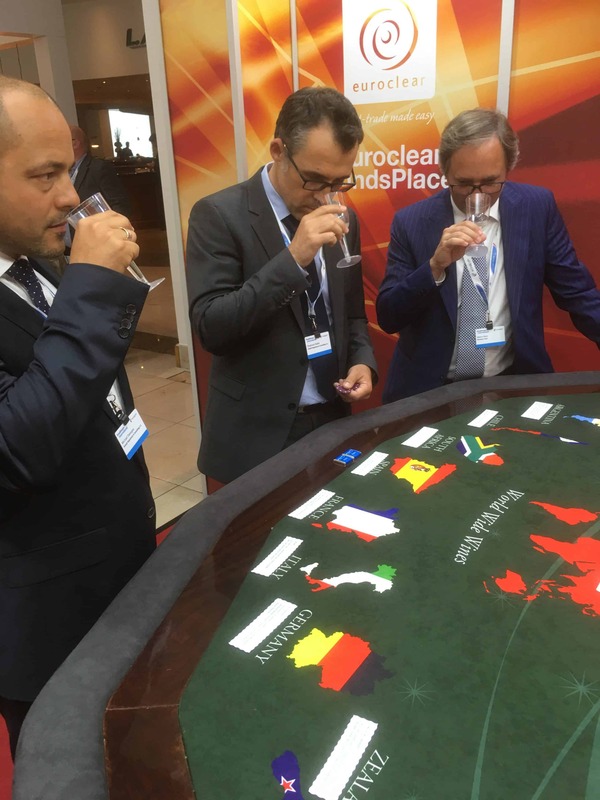 They then sample the wine from the selected bottle of wines from around the world. 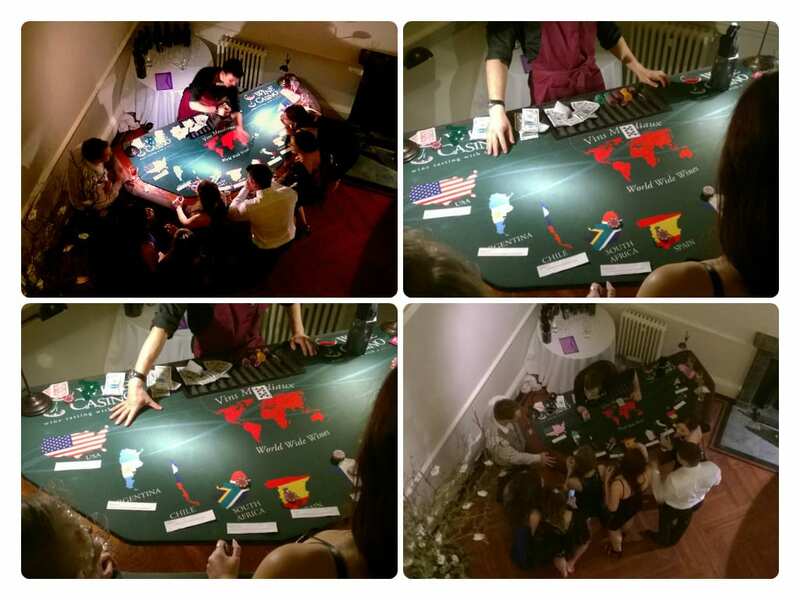 After sampling the selected wine they place their bets on the country they believe the wine to be from. 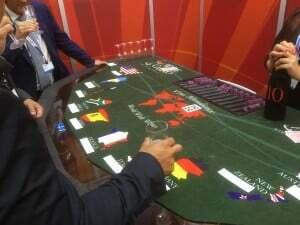 If they guess right, they win more chips, guess wrong, then they loose! 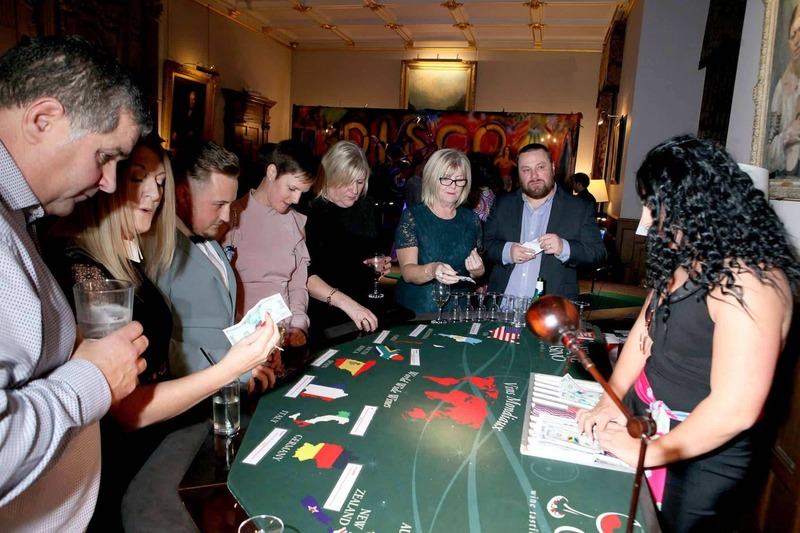 A fantastic addition to any High Profile Event, Dinner Party, Wedding, Birthday and is an ideal Christmas Party Entertainment. 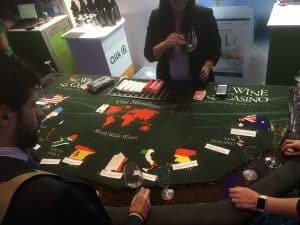 Our Wine Tasting has also been a proven success on Exhibitions stands as a form of entertainment, a sample of wine will obviously bring potential clients onto your stand, giving you the chance to showcase our product while they have a spot of wine and a gamble, not to mention some fun too! 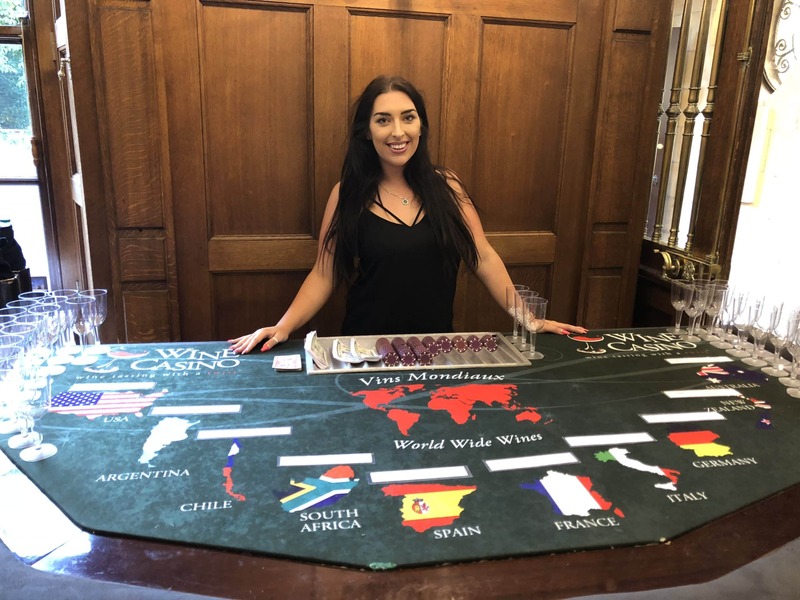 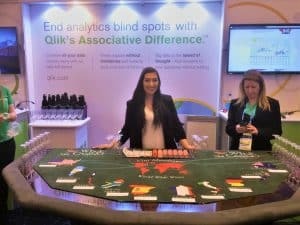 Whether you’re a wine connoisseur or a novice, our World Wide Wines Wine Tasting Casino table is a great game and a fun twist to the classic casino tables. 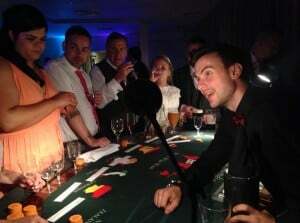 Be nice to the croupier and they may even give you some hints! 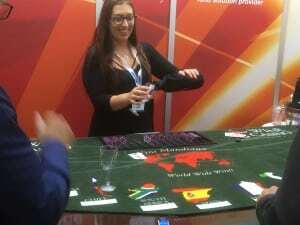 What could be better than gambling for fun money and drinking all at once?